Perhaps the most remarkable and enviable aspect of Milk Black Carbon is Kane’s use of diction—her words are so precisely selected one might think she has a name for everything. The brilliant specificity of her language, whether she is using scientific terms, making familiar words resonate in new ways, drawing upon archaic meanings, or using an Iñupiaq lexicon, spawns questions about what can be preserved by language and what can’t. Who is speaking? Who understands? How is meaning forged? from the roof. It buried me. Kane evinces her landscapes largely through sound. The “thin season” and “complicated engine” the “I worried snow down” blur the line between landscape and thought and allow the reader to feel the landscape. Bringing to the poems an awareness of climate change, of displaced communities, and of ancestral movements that thrums through Kane’s work only deepens this sense. Throughout Milk Black Carbon we are reminded again and again of the book’s dedication—“for the islander, our island: qiġluiruņa.” This is a poetry written toward a specific group of people; the non-Iñupiaq reader is given the gift of experiencing, through Kane’s lines, one facet of a broader story. This is especially distinct in the poems “Inuņuaq / The Dolls,” “Taktugziun / Compass,” and “Assiraġia / I am Copying Him,” all of which are presented, side by side, in both Iñupiaq and English, thus offering a direct and unfiltered Iñupiaq presence and perspective. Bsided: This might be a simple question, but how did you choose the title Milk Black Carbon? It’s so visceral, and reveals the content of the book so well. JNK: The title of the collection for many years was When The World Was Milk, but I realized I needed something that was more indicative of the book’s tone–a darkness, like polar night, hence the insertion of the word “Black.” “Milk,” I knew, needed to remain, but perhaps a verb rather than a noun, not just to refer to experiences particular to motherhood, but perhaps as a way to speak to the continuing exploitation of the Arctic & subarctic’s natural resources (including people). 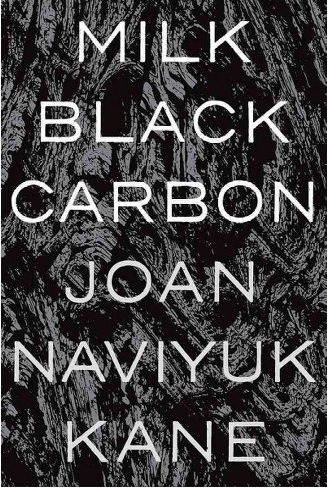 “Carbon” became part of the title because of the aforementioned natural resource exploitation, but also because of the emergent need for a global reduction in black carbon emissions in order to try to slow global warming and climate change. I think, too, there was a notion about the elemental nature of language, and too, of carbonado–the black diamond, again, in reference to the absence of light within the book’s poems. Bsided: If you could dream up an ideal location for “The Doll (A Pretend Person)” / “Mammaraq (Innuŋŋuuraq)” to be posted in the world, where would it be and who would stumble upon it? JNK: I think of the places that bound the Iñupiaq diaspora, and of the people that find themselves within these spaces, both Inuit and others. Bsided: What was the process for writing the poems in Iñupiaq? JNK: I wanted to work from a starting point of legend (unipkaaq) rather than personal narrative, and also wanted to include certain verbal anchors, like “women” and “men” being at opposite ends of the line, as well as repetition. I am deeply indebted to my family (my mother in particular), to Bernadette Yaayuk Alvanna-Stimplfe, and to the Ugiuvak people who have contributed to the written body of the King Island dialect of Iñupiaq, such as those (including my maternal grandmother) who helped record, transcribe and translate the book King Island Tales. Jackson Holbert was born and raised in eastern Washington state and currently lives in College Station, Texas, where he works as a librarian. His poems have appeared in Poetry Northwest, Colorado Review, FIELD, and Best New Poets, among others. His criticism has appeared in Pleiades, the Adroit Journal, and Rain Taxi.